Wilfully Obscure: Go ahead, defy your better judgement. Go ahead, defy your better judgement. Still loving this one after almost thirty years. Any chance you could post the Fossil record from 1995? You posted it in November, 2016, but I missed it. Will try to update the link soon. 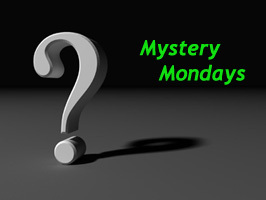 Hey, Thanks for another very cool mystery post. I enjoy seeing what you like. Black out the words for the blind have eyes. Ever wonder why they kill the weak ones, baby? Summertime can be such a drag.